There are some books which simply make us sit back and bask in their brilliance. The nuances, the well-crafted words, the humor, the intensity, the warmth, the breathtaking illustrations... they all leave us with a certain magic that we are thrilled to pass on to our kids. Lavanya and Ranjani share their favorites here in the second installment of book picks by our own ST contributors. 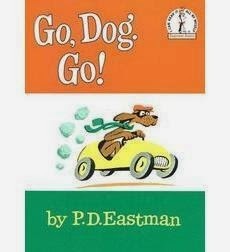 ‘Go, Dog, Go!’ by P. D. Eastman, a quirky early reader brimming with all kinds of dogs. Dogs that fly blimps, play tennis, drive cars, climb ladders, drill bedrock, even dogs that part-ay! The book’s simple colour scheme, uncluttered layout and hilarious ensemble cast ensured it stayed on our night stand for several years. This is perhaps the first long poem my daughter and I read together. It starts with the narrator, a little boy, sitting down by the lake to look at the sky. But then a terrified fly goes by, and the boy just has to get up and investigate. The fly thinks it’s being chased by a frog. Only the frog hasn’t noticed the fly, it’s busy trying to outrun ..a cat! And the cat, in turn, is fleeing something else. Before long, there is a veritable chorus line of animals hurtling through the pages of the book, trying to get away from their pursuers. This laugh-a-minute cumulative rhyme is beautifully illustrated by the great Fritz Seibel . This is my favourite Seuss book, and one we still return to, for the sheer brilliance of the Master’s wordplay. The book chronicles the adventures of young Peter T. Hooper, whose quest for the perfect plate of scrambled eggs sends him trailing, tracking and hoodwinking a gaggle of truly fantastic birds. 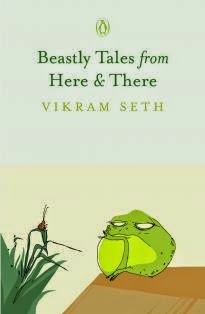 Another book we still return to, thanks to Mr. Seth’s witty, rhyming verse and Ravi Shankar’s spare pen and ink drawings. It’s a book my daughter and I enjoy quoting – “All the world lost for a snooze”, and “ Gibble-gabble, gibble-gabble. Oh ,what riffraff, oh, what rabble!” remain perennial favourites. The words Kuplink, Kuplank and Kuplunk resound with a jingle even today in my years, long after I read it first. We had picked up this book when my son was little. The black and white illustrations of a period long gone, the simple act of collecting blueberries and preserving them, the innocent encounter between the humans and the bear family, the rhythmic sound of blueberries hitting the pail - all come together to weave the magic of this book.I have tried hard to get hold of this book again for my daughter, but have not been so lucky. The child may not remember the book, but it is etched in mind as one of the finest in children's literature. Beautiful Bananas by Elizabeth Laird, was gifted to my son, by a close friend who was visiting us from the UK. It was the time,when we were new to children's literature. The house was not filled with books as it is now.This was one of the few books which we went back to again and again, for the pleasure of reading aloud. A little girl begins a trip across the forest to meet her grandpa, with a gift of bananas. But the bananas are taken away by the elephants by mistake and with an apology, they replace it with something else. As the girl proceeds through the forest, the gifts are mistakenly taken by other animals, to be replaced with some other gift. The surprise lies in the gift that the little girl finally takes for her grandpa. It is a lovely heart warming story, that my son and daughter have loved listening to.They have spent many a lazy afternoon taking in the beautiful pictures, when they were still little. 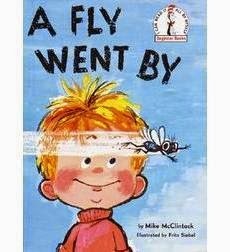 I have very fond memories of my son, picking up this book and reading it aloud (pretending to read aloud, when he was actually narrating on his own), while flipping through the pictures.